The national lobby for the coal industry is being disbanded, with remaining members integrating into the Minerals Council of Australia. The Australian Coal Association (ACA) with the Minerals Council of Australia (MCA) have combined in the effort to maximise their capability. 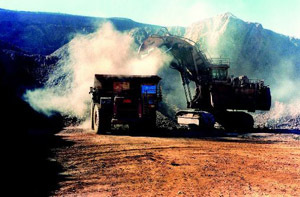 The two councils claim the integrated entity will ensure the mining industry has a clear voice in national policy debates on the economy, climate change management, energy, low emissions technologies, regulatory reform and project approvals. “The move will enhance the minerals industry’s representation through a strong and united voice for the minerals sector on national policy,” MCA chairman Andrew Michelmore and ACA chairman Ross Willims said in a joint statement. With estimates saying over 12,000 jobs have been lost in the coal industry this year, now may be the perfect time to present a united front on industrial representation. Some reports say mining giants and lobbyists such as Rio Tinto, BHP Billiton and Glencore-Xstrata have slashed costs across the board, asking whether two representative bodies are necessary. MCA CEO Mitch Hooke announced his retirement earlier this year, but now says he will not leave his position on account of the integration. Hooke will stay as the head of the expanded MCA until the end of the year.